If like us, your baby’s nursery is going to be located in the smallest bedroom within your home you need to be a little smart when it comes to how you utilise the space available. Baby’s need a lot of ‘stuff’ and having somewhere for it all to be neatly stored away and organised is crucial, especially in those early days when you don’t really know if you’re coming or going! Our nursery is almost ready for our new arrival due in May and I wanted to share a couple of little space saving hacks we’ve come up with to help save space but also to keep the nursery looking fresh, clean and modern. Under baby’s cot we have a couple of large storage containers in which we have popped extra supplies such as nappies, wipes and clothing. The cot itself isn’t ideal for the room; if I could redo this element of the nursery I’d opt for something a little more contemporary such as this Urbane Sleigh Cot Bed in White; it grows with the child eventually becoming a stylish toddler bed. 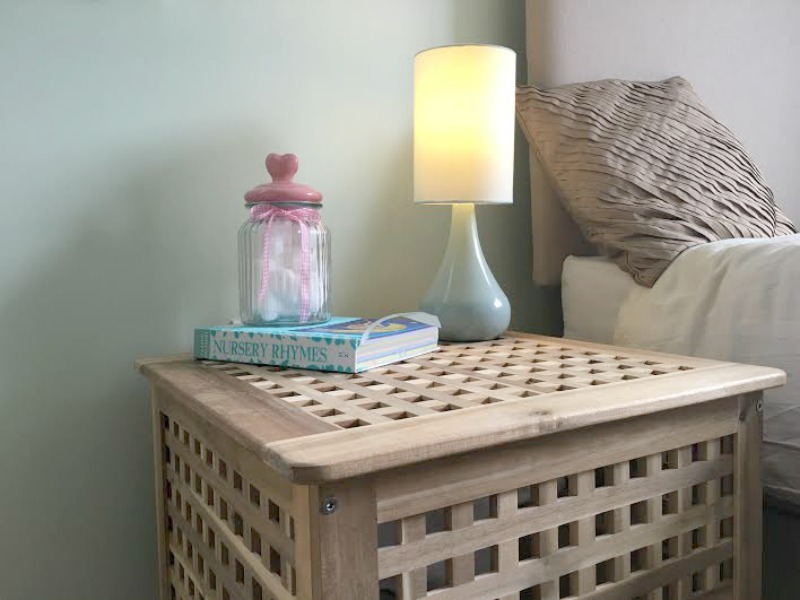 The cot bed comes with all the usual features including two base height for easy access to baby and a large, pull out storage drawer which matches the cot beautifully. We’ve used Florence’s old wardrobe for baby’s clothes and other items however it’s not ideal as it’s already bursting at the seams with clothing ready for baby when she finally arrives. I’d love to replace the wardrobe with something a little bigger such as the Urbane Sleigh wardrobe in White which is much taller and has a large drawer for added storage. 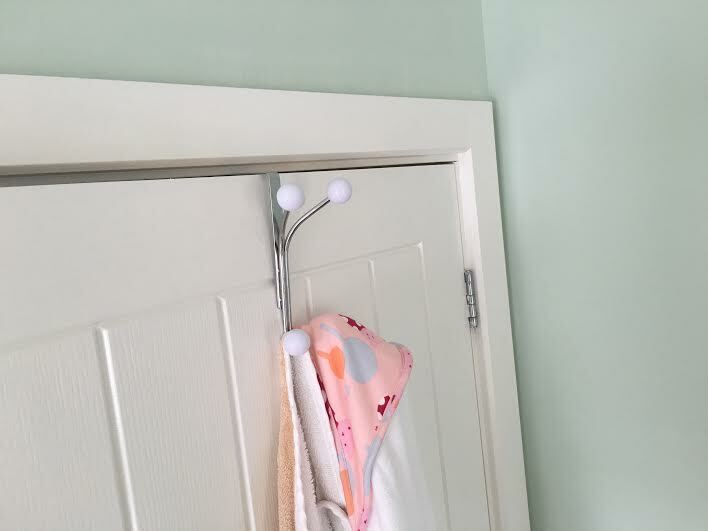 As we are a little tight on hanging space I purchased a very basic hanging hook for the back of the nursery door and we store all of baby’s towels here and her snowsuit. Finally we have a fairly large storage crate which doubles as a bedside table. Using one piece of furniture for a dual purpose is one of the best space saving hacks I can recommend. Inside the crate we store some of the toys and books which we will need access to over the coming months. 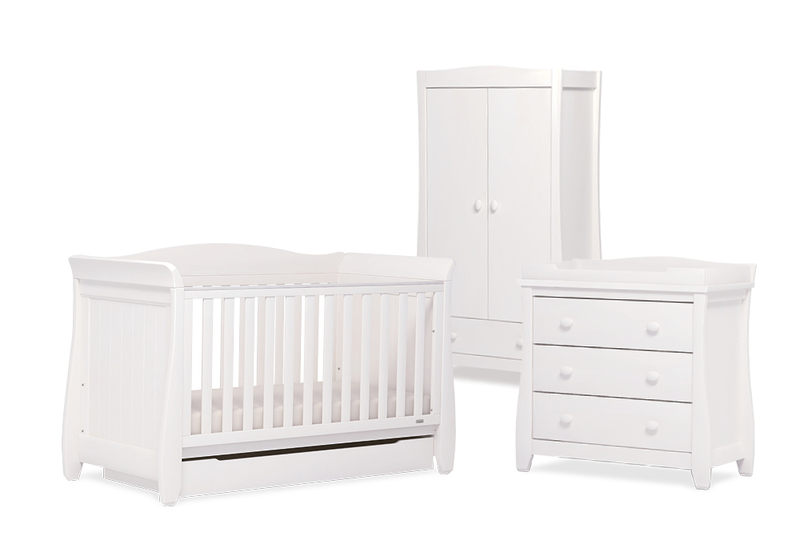 What tips do you have for parents trying to save space in their little ones nurseries?